Learn how you can take the positive equity you’ve invested into your car, and upgrade into a brand new Honda, without increasing your payments! This is our 3rd time purchasing a Honda CRV and it is by far the best experience we've ever had! Eric G. was extremely knowledgeable and spent time with us to ensure he understood our needs. Joe Doyle was the upmost professional and . made the purchasing of our vehicle easy and painless. Even after we made the purchase they both took time to go over every component of the vehicle. I would recommend all my friends and family to see them. I met with John Sizemore at the Wilde Honda Dealership. I was on my initial shopping trip to look at vehicles for our kids. He was so patient, and took his time with me, he explained the benefits, and features, of both the Odyssey and the Pilot. He did what no other salesperson has ever done, he moved the seats around to show me how they worked. We went for a test drive. When we were done I had a thorough understanding about both vehicles. I had told him this was my initial shopping trip, and that I wouldn't be ready to buy, just yet. We sat down and he asked politely when I wanted him to check back with me. We set a date, and he stuck to it, not a bunch of pesky phone calls. The next day I went to the Toyota dealership to look at the Highlander and Sienna. Dealing with that salesperson was like night and day. He showed me nothing about the cars, we just looked around at what was available, on the lot, with the features I wanted. We ended up buying a different model in another state, but I will go back to John for my next car. It won't be long, it's a 2005! Mark Russell was extremely helpful in listening to what we wanted and then giving us the choices that fit our category. Very knowledgeable on the cars and how to operate them. He was very willing to answer all our questions. We would highly recommend him to our friends when they need a car. Buying a new or used car is easy at Wilde Honda Sarasota! Find the car you want and get great financing options for your credit situation. We are your local Honda dealer serving Sarasota, as well as Bradenton, Venice, and Lakewood Ranch Honda customers. We are family-owned and are guided by family values. We believe that everyone should be treated like a guest in our dealership. This philosophy translates to exceptional service and money-saving specials on the latest Hondas and used cars in the Venice-Sarasota area. Visit Wilde Honda Sarasota serving Lakewood Ranch, and Bradenton, FL to see our huge selection of new and used Honda models as well as Certified Pre-owned cars and trucks. Ask about our internet specials. 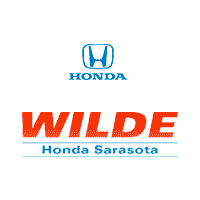 Wilde Honda Sarasota serving Venice and Bradenton is your Certified Honda dealer with Pre-owned Honda models in stock. Wilde Honda Sarasota, serving Southern Florida, has a wide variety of Certified Pre-owned sedans, coupes, convertible cars, trucks and SUV’s in stock. Wilde Honda Sarasota serving Lakewood Ranch, FL provides a complete service department with factory trained technicians to repair all makes and models of Honda vehicles. Wilde Honda Sarasota serving Bradenton and Venice has a complete parts department with OEM and after-market parts in stock. Wilde Honda serving Venice and Bradenton, FL also offers convenient service appointments. We proudly serve the community of Sarasota in Southern Florida.